there is a car club meeting on tuesday sept 27 it will be at 6pm at barttlet parking lot see you there. 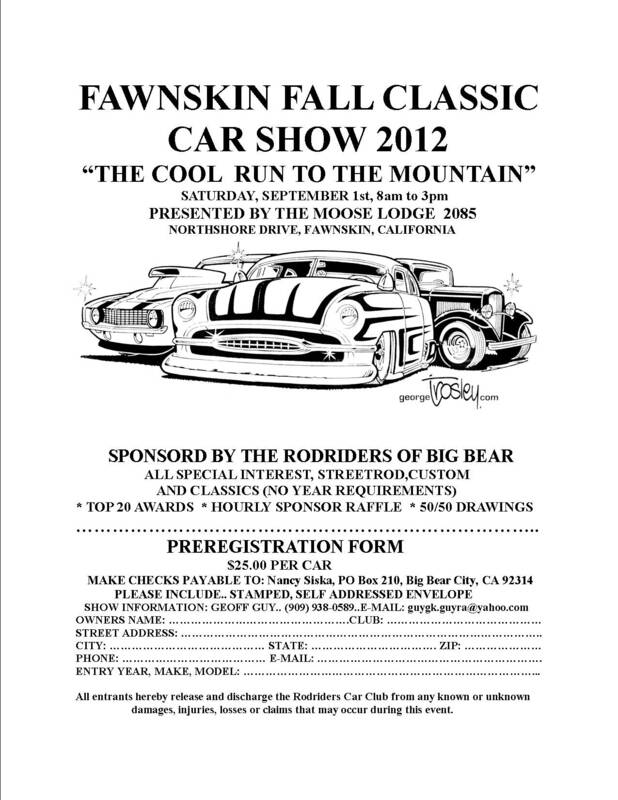 TOMORROW..SATURDAY SEPTEMBER 3rd.. OUR ANNUAL FAWNSKIN FALL CLASSIC CAR SHOW..WILL BE ONE OF THE HIGHLIGHTED HAPPENINGS IN THE BIG BEAR VALLEY THIS HOLIDAY WEEKEND..
“THE COOL RUN TO THE MOUNTAIN”..WILL HOST MANY LOCAL CLASSIC, ANTIQUE, SPECIAL INTEREST AND CUSTOM CARS..
NOT ONLY RODRIDER “RIDES”..BUT MANY CARS FROM OTHER LOCAL CLUBS..AS WELL AS “FLATLANDER” CAR CLUB MEMBERS.. THIS EVENT, SIGNALS THE END OF SUMMER.. 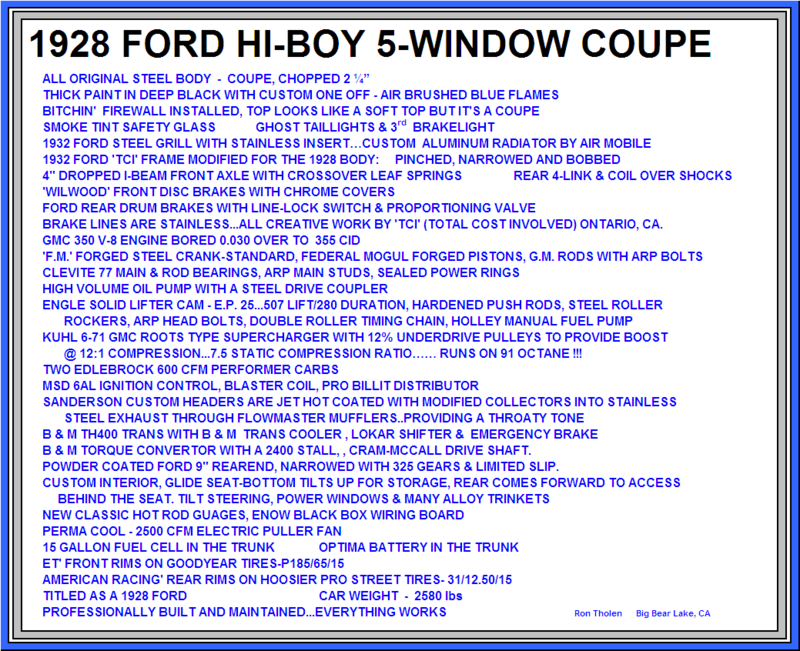 BUT NOT THE END OF CRUISING FOR THE ALWAY’S INVOLVED “RODRIDERS OF BIG BEAR”..